AtlantaRadioClub.Org wrote: Atlanta Hamfestival | Always the 1st Saturday in June! Where: Jim Miller Park located in Marietta, GA. For more info, click here. Admission: Adults $8 at the gate. Kids 17/Under & Scouts in uniform are free. Talk-in: 146.820(-) PL 146.2Hz, available Friday and Saturday. Tailgating – Forums – Vendors – Prizes – and Much More! We are happy to announce that W7QO Alan Adamson will be our 11AM Forum Speaker and his topic is about Circumnavigating RF Balloons. As of March, 2017 Alan has a balloon that has been circling the earth for over 200 days! Alan will launch an RF balloon live at the Atlanta HamFest! More Confirmed Vendors for 2017 include ACK Radio, VIS Amateur Supply and ICOM. Announcing 2 Grand Prizes! ICOM 7100 and the Kenwood TH D-74! Check out the latest technology from your favorite vendors. Find that special item you need in the huge tail gate area. 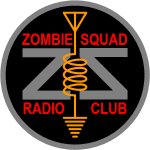 Forums, forums, forums about all things Ham Radio. Testing on site for either your first Amateur Radio License or that Upgrade. Boy Scout Merit Badge Training. Hourly Prizes and a special Grand Prize. Live Music provided by Bitsyland. The popular GARS sponsored Antenna Launch Contest is now confirmed for the 2017 Hamfest! New for 2017 – GeoCaching Fun! Last edited by KJ4ZDD on Sat Jun 10, 2017 3:01 am, edited 1 time in total. Re: Any interest in this year's Atlanta HamFest 2017? Well, we didn't make it to the Atlanta Hamfest this year, but there's still the Stone Mountain Hamfest to plan for in November. KJ4ZDD wrote: Well, we didn't make it to the Atlanta Hamfest this year, but there's still the Stone Mountain Hamfest to plan for in November. Thanks for the heads up. Do you think you will be attending that?